Working hand-in-hand with local people, you can build a better future for children living in poverty. Our newest partner in development is in St. Lucia, West Indies. The reality is that while St. Lucia is popularly promoted as a sunny Caribbean tourist haven with few worries, St. Lucia’s children have much to be worried about. Due to insufficient child nutrition, infectious disease and significant poverty, their idyllic island has one of the lowest average IQs in the measured world. That’s why you’re needed there. You can become part of one of the most important development efforts in Global Volunteers’ 28-year history. Central to our effort is offering comprehensive services in 12 areas – the “Essential Services” for a community’s development. In St. Lucia, West Indies, children struggle with the lowest IQs in the Western Hemisphere. Global Volunteers has launched an unprecedented program to assist our new host community of Anse la Reye, St. Lucia, to dramatically raise the IQ of their children by providing all 12 Essential Services …and thereby change the trajectory of the island’s future. This is an exceptional “working vacation.” Take in the vast West Indies cultural and natural offerings – alluring ocean landscapes, exciting watersports, colorful craft markets, inviting local cusine, engaging music and dance -- and all the while, contribute to a ground-breaking project demonstrating the catalytic power of volunteers to improve health, nutrition and IQ. Read about the Essential Services—the foundation of this project. 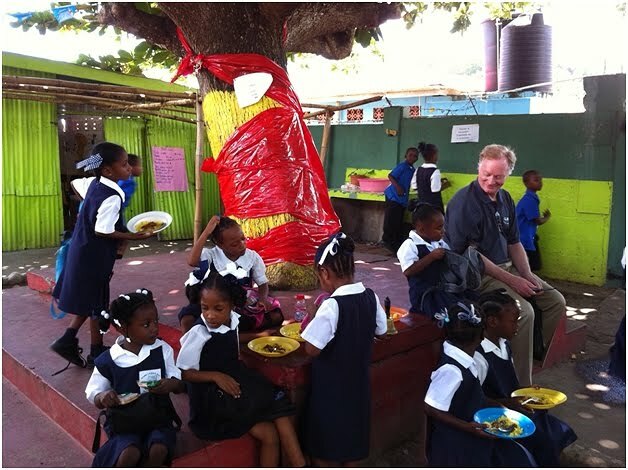 Our first teams to serve in Anse la Raye, St. Lucia are scheduled for January, March, September and November, 2012. Join us and leave your mark on world. And St. Lucia, in turn, will leave its mark on you. Call today (800-487-1074). Apply here. 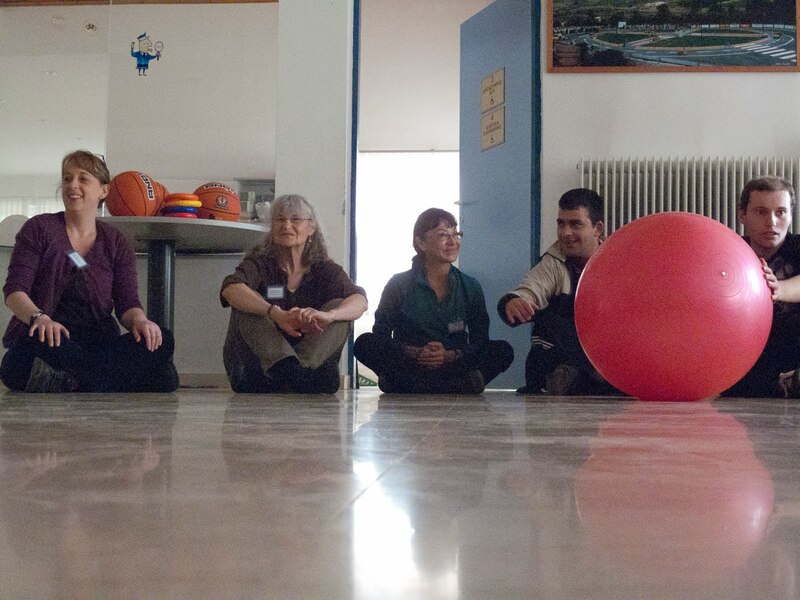 A new service opportunity in Greece enables volunteers to befriend, exercise and play with, and work with adults with disabilities at a breezy mountaintop day activity center. The following post is excerpted from an article in The Coastal Journal by Annee Tara. Read the entire story here. My recent volunteer vacation in Crete was my second trip with Global Volunteers. This organization has been in this business for more than a quarter of a century and has projects all over the world. The first thing they tell you when you agree to serve on a Global Volunteer project is to be flexible. A few days before my departure date, I got an email from Samantha (Sam), the country manager for Greece. 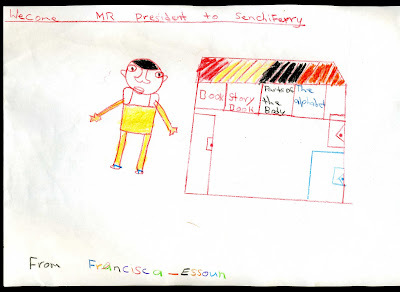 She wrote that (because of a teachers strike), instead of teaching English in the local primary school, we would be working at a center for youth and adults with disabilities on crafts projects that they use for fundraising. I'd say I was disappointed, but I was somewhat relieved. I don't know anything about working with people with disabilities, but I figured I at least couldn’t be held responsible for not having prepared! The Center is nominally supported by the municipality; but times are tough in Greece, and it is clear that St. Spiro's is funded by a fragile patchwork of sources. This includes crafts that are made by the staff, some of the participants and volunteers, and sold locally. Prior to our stay, the Center received an order for 500 icons to be attached to candles for an upcoming baptism. 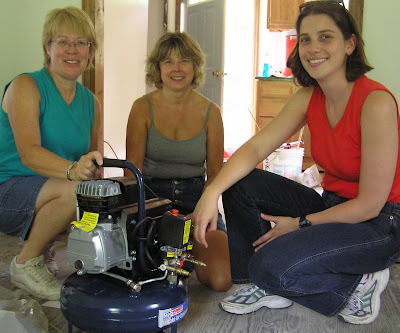 Only three or four of the participants were capable of helping with this project, so my sub-team was assigned to the task. We were shown how to do the work by a couple of the participants. We had been at St. Spiro's for only two weeks, but in that time we learned many things. From the participants I learned that these are people who truly live in the moment; they seem to enjoy doing new things with new people, without judgment. From our teammates I learned that each one brought a special history to the group - from the sheetmetal worker who was the favorite among the participants, for just being who he is; to the 85-year-old woman who was on her twelfth Global Volunteers trip - a role model for us all. About myself, I learned I could really enjoy a relationship with people who don't know anything about me, but accept me for who I am - as I came to accept them for who they are. Today started with another incredible breakfast of bacon, eggs, and coffee here in Costa Rica. We were a couple minutes late leaving for Canitas, but soon got underway with sunny skies ahead and great hopes that we would arrive and see a truck filled with tile sitting there waiting for us so we could begin the community center tiling project. We had no such luck so me, CK, and Roberto cleared out the drainage ditches up near the health office and lumber yards, while Cathy, and "Captain Kirk" put the finishing touches on the bare floors for the tile. They joined us soon after our lightning coffee break to rake up the grass in the front yard of the health office, while me, CK, and Roberto explored the area a little and took some pictures. Lunch was bomb, we had steak and more beans. I love beans! About ten minutes before lunch was over the rain came and washed our morning work down the drain, literally. Hanging out with Don Nicco's family was a humbling experience, seeing them so happy, just in each other's company, made me want to toss away all my televisions as soon as I get home. 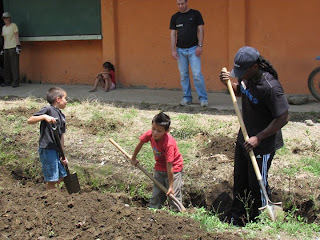 While NFL Star Devone Bess and Manager Chris Kidawski are locked out of their offices at the Miami Dolphins, they're serving with Global Volunteers in Costa Rica. In between weekend orientation sessions, they took a couple hours to train on the hills of Monteverde in the Cloud Forest. Greetings from the Spring, 2011 team in Cisternino, Italy. We are just ending the first week of teaching in the Liceo in Cisternino and each one of us feels very satisfied with how the week progressed, tired and satisfied. Many of the students we’ve been able to work with are gearing up to take a particular grade level of either the Trinity, Cambridge or PET English exam at the end of May. Those students are very motivated, attentive and well-behaved. We have also tutored other students who are not going to take one of those exams; their mastery of English varies greatly. However, regardless of their facility with English, they are getting practice in speaking English, introducing themselves, listening to a native speaker, and responding to questions. They are also very well-behaved. In the main, each of us is working with no more than 5-6 students at one time, but it does vary depending upon the requests/needs of the school. As a bonus (for us!) some of the Italian teachers are also working on their English with us during the afternoons. Some plan to take one of the exams as they prepare for a new Italian regulation which goes into effect in 5 years. At that point in time they will be required to teach their respective subject area in English for at least an hour a day. It is such a pleasure and privilege to work directly with the teachers. The conversation is intellectually quite stimulating. To sit and discuss Atonement by Ian McEwan with an Italian teacher…what a great experience. And… this is FUN. Personally, this is my first time on a Global Volunteers trip. I had no idea I would receive such wonderful TLC from a team leader who magically gets things done, makes meal modifications, arranges transportation and nurtures our spirits. Participating on the team, meeting new people from different parts of the states all adds to the fun. I am particularly enjoying being a participant in a small town in Italy and not just a tourist. And here’s what everyone could guess…the food is fabulous as well! 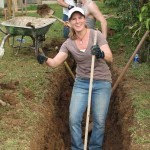 Shared by Italy Volunteer Nancy C.
“Dear fellow volunteers: I was curious about the true value of my Global Volunteers tax deduction, so I prepared my individual taxes this year both with the Global Volunteers charitable deduction and without. I realized that deducting the program fee, airfare, travel insurance and visa would net me almost $1,500 more than without that deduction! I always heard about the value of the tax deduction, but I really didn’t think seriously about it until I analyzed it this way myself. I’m looking forward to using the refund for my next service program this year. It’s like recycled money! I’m off to China again in a few weeks. Can’t wait!" Will you consider how you might invest your tax return this year into a Global Volunteers service program like Esther does and “pay your good fortune forward” with us? Thanks for your consideration! A Season of New Beginnings in Romania and we want you to be a part of it all. If your passion lies in serving at-risk youth, working with your hands, or if it's teaching that inspires you, we now have wonderful new opportunities for you to contribute in Romania. We have worked at the Tutova Children's Clinic since 1999 however in recent weeks, that Clinic has closed, and the children were relocated to new facilities. We now have the opportunity to help care for some of those same children at our new work sites, along with many more children needing your support. While we regret the Romanian government's decision to transform Tutova Hospital and Children's Clinic into a senior center, we were heartened by invitations from other child-focused community partners enabling us to serve the broader Barlad community. Residents and staff of The Elena Farago Center in Barlad await Global Volunteers teams. First, Dr. Magdalena Cozma, director of Barlad's St. Nicholas Children's Hospital , has invited Global Volunteers to continue our work with at-risk children at her hospital. This is essentially the same work assignment as at Tutova -- holding, feeding and entertaining babies who need care. (As is so often the case, "when one door closes another one opens,"and some of the babies and toddlers on the other side of that door are from Tutova -- still counting on your love.) The children don't care that the door is different, just that you come through it! Year-round service opportunities at George Tutoveanu School in Barlad. Volunteers are needed to teach conversational English to primary and middle school students during the school year and to middle and senior high students at English language summer camps. The focus is on conversation - visiting about everyday subjects and real-life situations so the students can increase their vocabulary and practice English language skills. While you'll teach in the classrooms, during the summer camps students also enjoy taking volunteers out to show them highlights of their city, such as museums, live theater, zoo, and public garden -- providing additional opportunities to interact while speaking English. This is a great new opportunity for your companions who may not be interested in caregiving assignments. Third, if you enjoy working with your hands - repairing, painting and renovating buildings -- you're needed to help improve apartments at the Elena Farago Center. This is a rewarding opportunity to work alongside some of the residents and the local carpenters and handymen to make these homes more livable. What's more, we hope to establish a community garden project as our new partnerships progress so students and young adults can join the worldwide movement to understand and practice better nutrition choices. You can also offer psychosocial support to teens and young adults for all our part of your volunteer assignment. The Elena Farago Center in Barlad cares for some 40 teens and young adults from age 12 to mid-20s. (Photo on top) Most of the residents are orphans, abused children, or from families too poor to care for them. About 10 percent have mental disabilities, and 20 percent are HIV positive or have AIDS, mostly contracted from blood transfusions. The residents live together in apartments, three to five per unit, with guidance from local staff. This is a great opportunity to help young boys and girls who are preparing for a productive and independent life. Initially, volunteers will befriend the residents by working with them on arts and craft projects, teaching how to cook nutritious meals, helping with homework, communicating in English, playing sports and more. We'll also tutor teens and young adults in conversational English at the Elena Farago Center, although teaching English will not be a full-time assignment at this facility. Finally, if you have experience or interest in assisting children with autism and/or Down syndrome, you can serve at Barlad Center for Children with Disabilities. This is a multi-unit complex that cares for children with mental disabilities as well as those who are blind and deaf. This project can be a full-time or secondary project, splitting your work on one of the above primary projects. We're very encouraged by these new service partnerships with local Romanian agencies and the expanded opportunities to engage volunteers in serving Romanian children. Your contribution now is more important than ever. Please allow me to answer your questions and fill you in with additional details on your upcoming service program. Again, we'd greatly appreciate you referring your friends and family members to serve with you or on other 2011 Romania service programs. Everyone makes a significant difference in this time of new beginnings on our Romania service program! Join us at 'A Passage to China' at MOA! If you live in Minnesota or happen to be at the Mall of America this weekend, don't forget to stop by 'A Passage to China' to meet with our wonderful staff and volunteers!! You can come take part in the fun event activities and learn about our volunteer service programs in Xi'an, Kunming & around the world!! Last full day today. Awoke and gathered in the lobby in our usual fashion, trickling in just before or just after 8am. Had our breakfast, stared at the clouds which look full and threaten rain and discussed the previous nights’ adventures. The bus arrived on time and we trundled up the mountain one last time. By now the people of the center are used to our presence and shouts of Kali-Mera! greet our entrance. We finished some crafts, had some delicious Greek pastries provided by the center and then went up the hill to practice parade marching in anticipation of St. Spiro’s participation in the Easter parade. After a couple turns around the circle we joined in the fun and marched with them. It is amazing, at least to me, the way these people so easily let us in to their lives, allowing us to come in, sit with them at their table, use their materials and participate in their activities – all without argument, judgement or a second thought – we were included by them. There’s a lesson in that. After parade practice we got a surprise, a trip down the mountain a little ways to the local monastery. We paired up, held hands and proceeded down. The monastery was quiet, serene, peaceful as well as beautiful. Quite a setting there up in the mountains. We were treated to candies and a hearty ring of the bell by the nuns present. We were allowed to roam a bit and take photos, an opportunity we made good use of. After our visit we passed back through the stone archway and up the winding road to the St. Spiro center once again. We took some more photos, had some small conversation and played basketball for a few minutes and then it was time for lunch for the people at the center. Aphrodite was particularly aware that it was time for us to say goodbye and posed for many photos with us as well as giving most of us hugs. As the bus pulled away we got yet more waves from some of the guys who had eaten quickly so they could play more basketball. Though it was not a grand farewell it was a fond one. I think we’ll all remember our brief encounter with the people at St. Spiro, from George the atomic bomb kicking whirlwind to Yanni of Canada fame to Kaite who really loved playing ball, it was a joy to share a brief moment in their lives and share in their spirit of caring and openness. Once back at the hotel we enjoyed what we’ve come to expect, a delicious and filling (or over filling) lunch, with pizza made especially for us. In the afternoon we went our separate ways, some napping some visiting the beach or going into Gazi or to Carfore one last time for a look around and some chocolate. We then met up to travel into Heraklion for a farewell Gyro dinner. Sam cried when we gave her her winter hat which would especially equip her for her next visit to Minnesota when we would all see her again. We all had taken our pictures in the hat as well for an added dimension to the gift which Brook promised to get a collage made and a print sent to Sam as a keepsake of our visit. It has been an amazing week with amazing people, both Greek and American, and it has been an experience none of us will ever forget. It has been a week of surprises, both large and small - there were a lot of twists and turns for a short spring break trip such as this. Through it all the kindness, patience and generosity of everyone we met and the flexibility and willingness to just go with it from the Global Volunteers team means I can confidently report we didn’t just meet our goals but we exceeded them, and we had a great time along the way. A New Community Partnership in Greece Continues to Flourish! We are the second Global Volunteer group to be involved with St. Spiros so I have chosen a proverb as the thought of the day: "A journey of a thousand miles begins with a single step". It's 8:30 am and we are off to our worksite. I don't think we can tire of the bus ride to St. Spiros. The landscape looks like a quilt of greens, grays and browns. At first we were very busy at work with our wood and leather scroll icons then we had plenty of time to color, read and interact with our new friends. The wood crew was presented with their wood icons and the leather crew received drawings from Aphrodite. Unfortunately, she was not there to personally thank. Some of us chose not to eat in for lunch so Paul, our host, prepared giant sandwiches and oranges for us that he put in giant orange bags. We scurried out with our big bright bags to catch the bus to Iraklion. Our mission was to visit the Archaeological Museum. The museum was wonderful. We were very happy with the time we spent there. Dinner at 7:30 pm and then our much anticipated Greek Dance class. Sam, Gabriella, Alice, and Rafaela were great instructors. We practiced Siganos, Hanitos and the Charlie Brown slide. -- O pah! 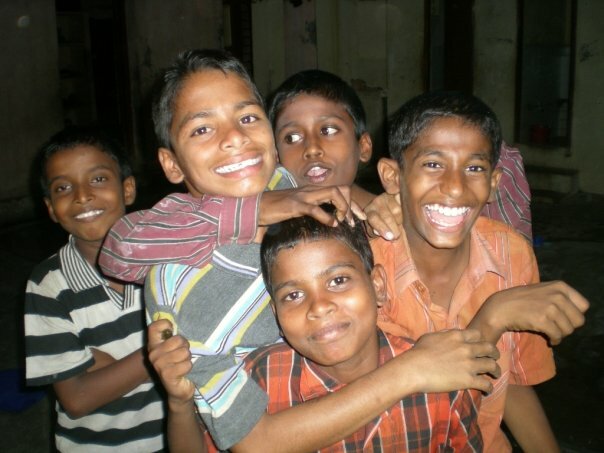 Volunteers in India help care for orphaned and abandoned children, teach in the classroom, and paint, repair and construct facilities for impoverished children. Four Indian staff facilitate the volunteers’ work. 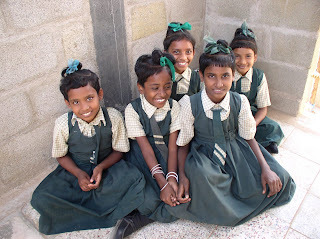 You too can help children in India. You too can leave your mark on the world. Fundraise Your Fee and Serve This Year! Last year, through the Global Volunteers website, I raised enough money for my trips to both Peru and Ecuador. The only thing I paid for was my flight to both countries. How'd I do it? I put a letter in my church bulletin and received an overwhelming amount of supplies that I was able to split between both trips for donations. I ended up bringing at least one extra suitcase on both trips filled with supplies for the children. 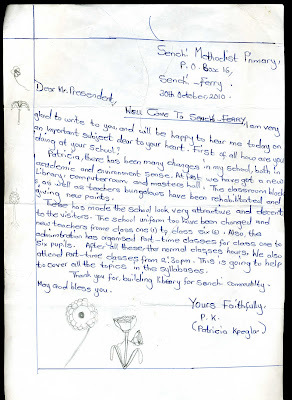 When I signed up for the trips, I wrote a letter explaining what I was doing and why, asking for any sort of donation. I sent the letter to all my family close and extended as well as family friends, neighbors, teachers, distant relatives etc. I received an overwhelming response and received donations up until the week before I was to leave to Peru on my first trip. I took the semester off from school last fall, and when I found Global Volunteers, it was a perfect fit. I found out about the program through a girl at my school who had done a trip to Brazil with her mother a few years ago. The fact that Global Volunteers provided me with the means to create a fundraising page was very helpful. It was perfect for me to fundraise through. Global Volunteers is the only volunteer program I found that allowed you to fully fundraise all of your costs and helped you in doing so. All other programs were much more expensive and more of a volunteer 'vacation' rather than a strictly volunteer trip. This has been a wonderful, fulfilling memory for me. I encourage you to do it. Call or email us to learn how you can establish your own fundraising page on our website and for examples from other successful fundraisers. These "Editor's Notes" were just TOO GOOD not to share with our entire Global Volunteers family!! This 2011 volunteer team served in Lima, Peru with host partners PPA (children's home) and La Molina (university). We hope you enjoy these final day comments as much as we did!! When I retired in 2008, my brother-in-law gave me one of those “retirement” plaques and I put it on an upstairs bedroom shelf. On Saturday, as I put my things away, it caught my eye. The Lima, Peru group accomplished all that and more! At our respective assignments at La Molina and PPA, we worked together with a common purpose. We shared ideas and materials. And yes, sometimes we shared frustrations. But we also shared tremendous satisfaction, triumphs and victories, brought to us by the smiles and enthusiasm on both ends of the spectrum -- doctoral students and 3 year olds. At the end of the day when our work was done, we played together, laughed together and had many happy times together. And on this new road, during this little piece of our lives, we had quite a lasting adventure. And so I leave you with a Final Thought for the Day…..
Paz y Felicidad, Amigos! Adios! To all our volunteers and blog readers: I hope that 2011 has been a happy and healthy year for you and your family so far. Here in Poland we are eagerly awaiting for the upcoming Global Volunteers spring and summer service programs to begin. We hope that - with your help - we’ll be able to continue to provide service to the Polish students throughout 2011 and many years to come! The months of June and July will bring the beginning of the summer camp sessions in Poland. The volunteers who will help us in the summer will work with the elementary school students at the Reymontowka Camp, as well as middle and high school students in Zakopane area and they will play a very crucial role in educating the future leaders of Poland. In Zakopane summer camps, we will work with the bright high and middle school students who need their English to make their future professional lives successful in a very competitive job market in Poland. For a lot of them studying the English language, as well as the American history, geography and culture is a real passion. The volunteers give them such an excellent opportunity to learn so many interesting facts about the country and language of their interest. So, please join either our June 25th or July 2nd Zakopane teams today so we can continue to serve our Polish students in 2011. Because it is a camp, the students and volunteers can participate in a lot of fun activities in the afternoons (while practicing English together at the same time) so this program is ideal if you would like to bring your child or grandchild to serve with you. 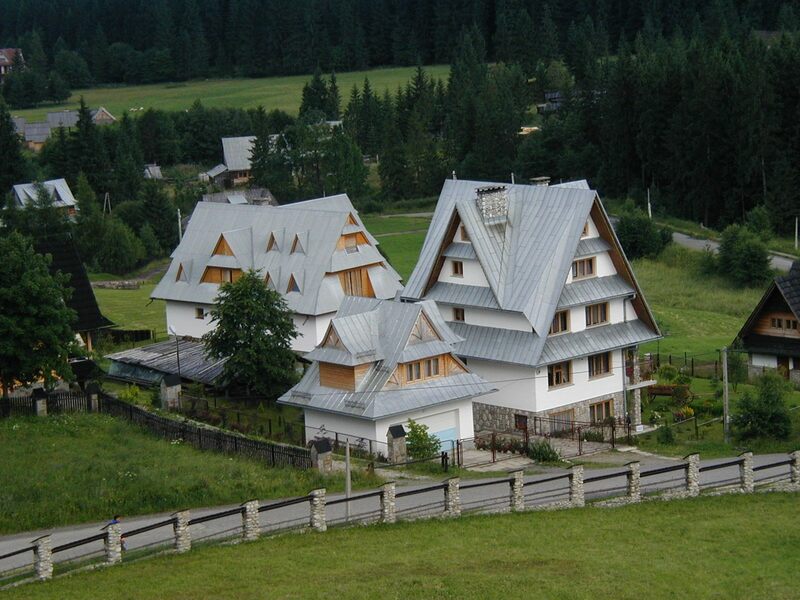 These activities include hiking in the mountains, visiting museums, playing sports, going swimming, shopping and exploring the town of Zakopane. In the evenings, the students often put on skits and musical plays. During the free weekend you can visit Krakow, Auschwitz- Birkenau Concentration Camp and the Wieliczka Salt mine (started in the early Middle Ages and listed on the UNESCO List of World Heritage Sites). Thank you so much for your considering the idea of assisting us this summer! It would be wonderful to work with you again in my home country! Also, please tell others about our service opportunity. World Book Encyclopedia Donation Arrives on Rarotonga!! A big thank you to Volunteer Nancy, Global Volunteers' staff & host partners and World Book Encyclopedia for allowing this great donation effort to happen! Please take a peek at a few photos below of the encyclopedias arriving at a local school and the students diving right into learning! Here a student takes his first crack at sign language!! URGENT: WE NEED YOU IN ECUADOR THIS APRIL! The children of Calderon need you and with the help of a few dedicated volunteers, we have been able to save our April service program dates from APRIL 9 - 16. If you are able to volunteer for one week this spring, please contact our Volunteer Coordinators as soon as possible at 800-487-1074 to discuss joining this team!! The spectacular ancient Andean culture, with its haunting music, expressive dance and vibrant dress, is matched only by the enchanting landscapes and hospitable people. In Ecuador, eleven distinct cultures weave harmoniously together to unite past and present. 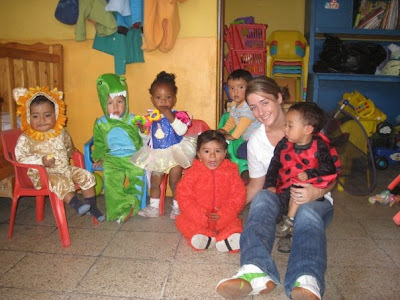 As a Global Volunteer, you experience Ecuador through her people...at-risk children, their families and care-givers. Extreme poverty is the reality for the children you'll serve in the Quito area, but you can help improve opportunities in these young lives. Our service program enables you to provide direct, hands-on care for pre-schoolers through an amazing grassroots organization. No matter your background, your personal efforts improve these youngsters' well-being. What's more, through your service program fee, Global Volunteers is able to purchase materials directed to the children's imminent needs. The daily needs of the economically impoverished children we serve in Calderon, Ecuador are simple, and you represent an important resource for education, recreation and basic social development. The childcare centers built and expanded through the assistance of Global Volunteers teams provides safe and stimulating environments for mothers to leave their children so they can provide a better future for their families. Childcare - infants and pre-schoolers. Construction - a new child care facility. Physical labor - landscaping, painting and masonry. Please call or e-mail us TODAY if you are interested in joining us this April. Your time and skills are needed in Calderon, so why wait?!? "The learning in a community is like casting a pebble into a pond. The 'small rings of gentle waves' extend further into a community than one might first realize. It is not just what is taught in two weeks that is important but it is the impact of a continuous series of teams of volunteers who keep returning to a community and working with the residents." Read more of Team Leader Milt Diehl's reflections on the Hungary Blog. An Journal Excerpt from Cisternino, Italy! Now that it is Friday, it seems as if the week has just flown by! We are very comfortable as we walk into Don Quirico Punzi; it does not seem as loud and chaotic. We have adapted to the environment and have developed a feeling of affection for these fresh-faced adolescents. Jay was with his normal teaching situation – Giovanna – and obviously has a niche that is quite comfortable. Corinne has great skill in facilitating conversation among her students in a gentle but corrective way. She is our resident talk-show host, but way more elegant than Tyra or Oprah. Warren also did an activity at lunch that re-visited the goals we set earlier in the experience. He wanted us to do a check on where we were and what we were doing to reach our goals. It was cause for personal reflection and assessment for each of us. Alberobello was on our Friday excursion plan so we had a driver pick us up at 4:30. After driving through beautiful farmland dotted with trulli, we arrived in Trulliville Extraordinaire! We marveled at the rather amazing construction of the slabbed rock roof of each trulli—even on the simple church downtown. I purchased an adorable knit sweater for my sweet grandson and Corinne treated us to a glass of wine in honor of my departure. Speaking of my departure, I am feeling a little “off” and unsettled about leaving early, but I have a family wedding to attend in Cinqueterra. I will miss my comrades. To Warren, team leader of great excellence, keep singing! To Jay, notice all the good things that surround you and enjoy that Hagen Das! To Corinne, keep those students talking and pronouncing their English correctly! You are a fun trio to be around; I’ll miss you! Did you happen to see our EarthBox photos from India on Facebook last week? If not, please check out some of the amazing images below!! In early January a team of Global Volunteers brought the first Earthboxes to Chennai to be cared for and used by the children at the SEAMS Childrens Home. Volunteers will help the children care for the produce, learn about nutrition and use the final products in their daily meals!!! Please check back often to read more about our EarthBox efforts! Not only will we be supporting this effort in India, but also in our host communities in Ghana, Tanzania, and Peru! Stay tuned for updates and photos!!! Like to measure your effort by the shovels-full? Here's an opportunity to REALLY make a difference. Leave Your Mark on the Community of Canitas! Canitas, a little village in Monteverde, Costa Rica needs your help. Work with upcoming teams to build a sidewalk along the main street to keep schoolchildren safe. You can make a difference here. Learn more on our Costa Rica blog. It Only Takes a Week - Join Global Volunteers for a U.S.A. Service Program!! Want to volunteer a little closer to home this year? 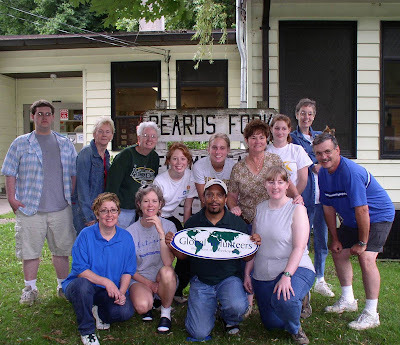 Consider joining Global Volunteers for a one week U.S.A. service program in Montana, West Virginia, or Minnesota in 2011. Read below to learn about our unique work projects, and enjoy some photos from recent volunteer teams!! Since that first team, volunteers have helped landscape, sod and enclose the play area with fencing, and have built picnic tables, an outdoor deck and horseshoe pits at the Center. Our partnership with the Blackfeet Nation has since grown to serve new partners, such as the Blackfeet Tribal Nursing Home, Eagle Shields Senior and Assisted Living Center, White Buffalo Youth Detention Center, and the Southern Piegan Diabetes Project. 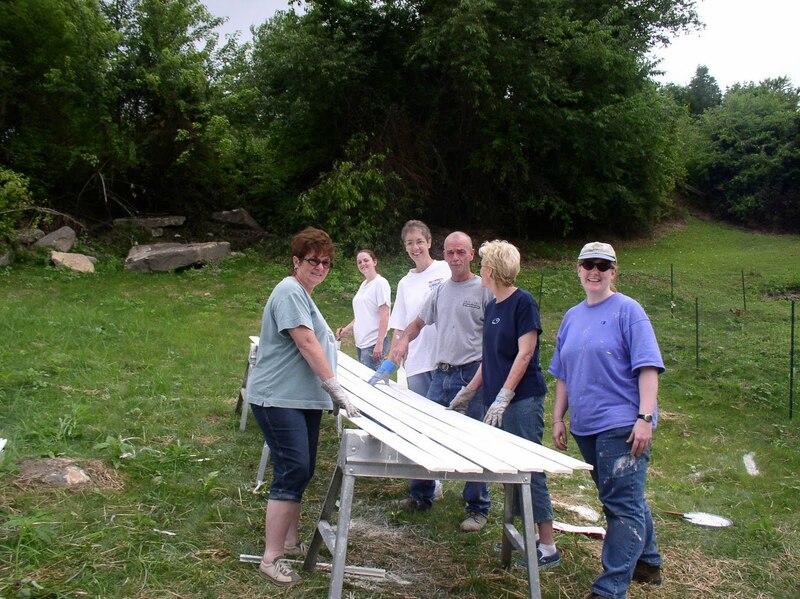 Volunteers working on these projects have served meals; helped with craft projects, games, and musical activities; counseled youth; and painted and landscaped the facilities. 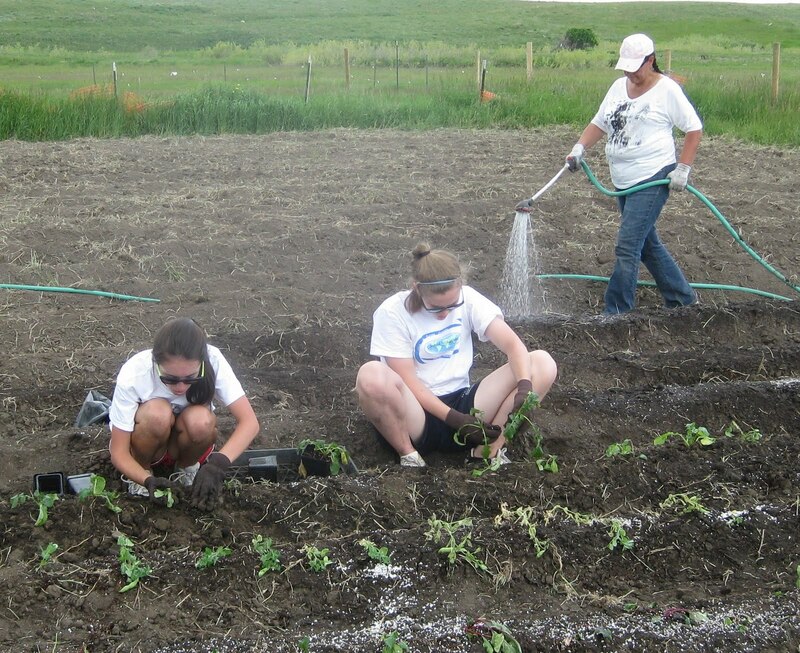 Since the work we do on each team depends upon the immediate needs of the community, volunteers often do not find out the exact nature of their work projects until they are on-site in Montana. When serving in Native American communities, the need for flexibility is of the utmost importance. The Minnesota Project focuses on the needs of two increasingly diverse rural communities that have become microcosms of the world at large: Austin and Worthington. Both have experienced an explosive growth of immigrant populations over the last decade, which has created new challenges for what were previously communities of almost exclusively European ancestry. By teaching conversational English and nurturing warm, fun-loving children, you will help enhance immigrant students’ classroom performance as well as their future educational opportunities and employment prospects. Your participation will also facilitate community integration by enabling immigrant families to communicate more effectively with their neighbors. When people talk, greater understanding results - the barriers of distrust, discrimination, and misunderstanding crumble. Help wage peace and build a better world. This one-week volunteer service opportunity is available for any native English speaker. All that’s required is a flexible attitude and a desire to serve. I worked in the Tutova failure-to-thrive clinic in Romania. I bonded with the children at the clinic quickly, by the second day many were greeting us with hugs upon arrival in the morning. It was very hard to leave them after 2 weeks and I continue to think of them often and try to figure out ways I can help from afar. Check out our Costa Rica mention with IVC !!! Our friends at International Volunteer Card have been kind enough to feature our Costa Rica program and blog on their own blog today!! We would love to have you join us in 2011, in Costa Rica or in any of the 19 countries we work in. You CAN make a difference!! 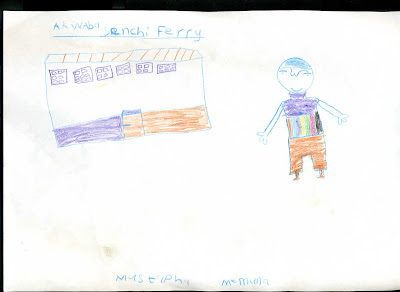 Letters & Photos from Students in Ghana!! 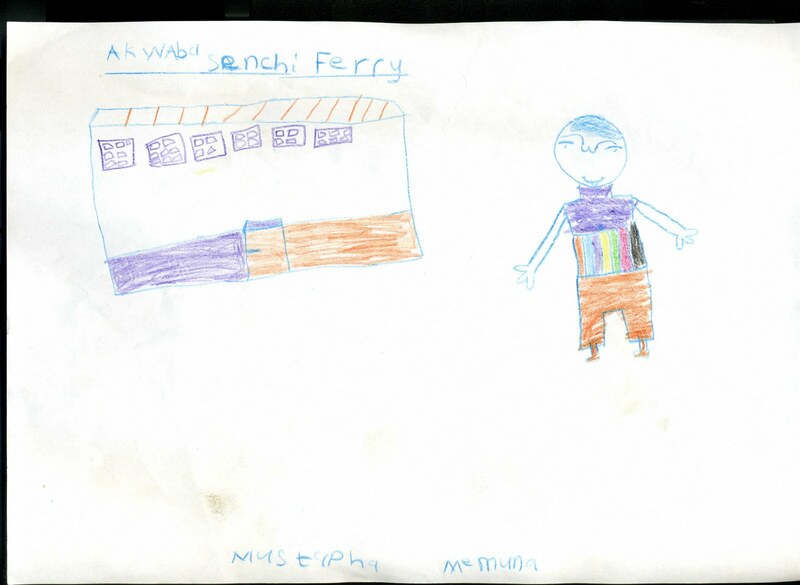 Please join us and enjoy a small selection of the numerous pictures and letters that were shared with Global Volunteers (by lovely students in Ghana) this winter regarding our work in Senchi Ferry. The words and images created by these students remind us why we do what we do WITH YOU each and every day! 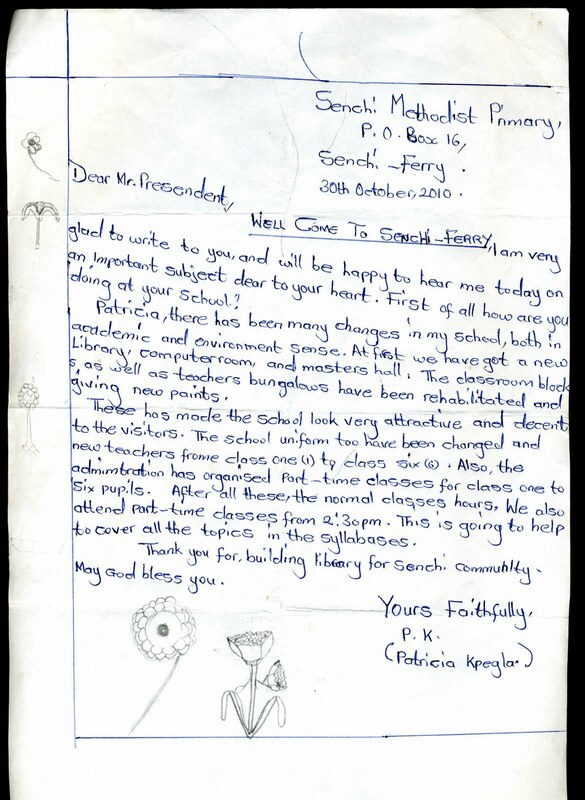 As Fawaz, a middle school student, stated " I am a boy who loves reading and learning, and studying, my best subjects are mathematics, English, history and art... and the concept of this letter is to thank you for the wonderful things you have done for our community."